Welcome to this fishing guide to Catch Legendary Pokémon in Pokémon Omega Ruby and Pokémon Alpha Sapphire. You can catch a lot of Legendary Pokémon, Here I will show you how to catch almost everyone! Note: Groudon (Ruby), Kyogre (Sapphire), Rayquaza (Delta Episode) and Deoxys (Delta Episode) will not be treated here as you meet the Pokémon in story progression. Before you can catch the first three Regi Pokemon, the secret cave must be exposed. Make your way by raft Brunn and surf west to Route 132nd you have to keep in south to ultimately come to a deep water point. Now require a diver, swimming south until you find a clearing where you can re-emerge and reach the seal chamber. Run to the north wall and look at the Braille. It says "shoveling here". So at this point will the attack Dredge and it will open a secret passage that leads you deeper into the seal chamber. Now go back to the northern wall with the Braille. It says "Relicanth first, Wailord last". Exchange your team now so that Relicanth is top left and bottom right Wailord. Click again on the wall and an earthquake is triggered ... with the news that in the distance, ancient ruins have opened. There you can now catch the first three Regi Pokemon. Run to the north. Set a surfer and swim to the cave in the Route 105. The cave surrounded by stone columns. Once there you will find again in front of a wall with Braille. It says "waiting until the time is twice". Close this message and set the 3DS for two minutes aside, because you have to wait until open a secret passage. Behind is the legendary Pokémon Regice. Note: If you have caught Regice, then give him a nickname. This is a condition to catch Regigas. Head over after Mauville City and walk from there north to the desert on Route 111. In the desert you can find the second ruin southeast. The ruin is again a wall with Braille inscription. There, "Twice down the right and twice, then strength" is. So runs two steps to the right and down - preferably use the directional pad. Now requires a strength to expose a secret passage. Behind is the legendary Pokémon Regirock. The ruin can be found southwest of tree Hausen City. Once there, you decipher again the Braille inscription. It says "Last time, hope and love, the Mid heaven." Run four to six” steps down into the center of the room and begin flying to expose the secret passage. Behind is the legendary Pokémon Registeel. After you've caught the first three Regi Pokemon, you can grab your Regigigas. - If its the Regice, Regirock and Registeel have caught one by one, you have to wait one day until you can catch Regigas (it must be light). If you have completed all, go back to the cave on the northern Route 105, where you have previously caught Regice. Imagine appears in the center of the rear compartment and Regigigas. When you grab Ho-Oh (exclusively in Omega Rubin) or Lugia (exclusively in Aplha sapphire), the two legendary Pokemon from the Johto region. Head over to the Sea Mauville (Route 108). There is on deck a researcher who tells you of a scanner, he should bring to Captain Briggs. It said he had examined everything, just not below the waterline. Move into the interior and run in the southwestern corridor. There is a deep water site where you can dive. Float down into another room and examine it. If you've found the right spot, a message comes to a found item - this is the scanner. The researcher asks you to bring the captain the scanner. Now fly for graphite Port City and studied the Captain Briggs, who is in the harbor. He thanks you and gives either the Clear Bell (Ruby) or Tidal Bell (Sapphire). Now it's back to Mauville. Upon entering the deck, the Bell lights on weak. There appear enigmatic rings. In Ruby, it is on deck at the end of a metal rod and sapphire in underwater areas where you have found the scanner. If you studied the ring, followed by a battle against Ho-Oh or Lugia! No legendary Pokémon, but when you're on the sea, grab yourself directly the Spiritomb that hangs out there. Go into the interior of the Sea Mauville and set in the south aisle, and then diving surfer. Float now completely around, on the other side, where you can re-emerge. Here you enter the first room on the left and get a message that you will probably observe. Now go to the shelf in the upper left corner and it looks after you. Click around now so that your screen is completely concealed in the item- or Pokémon menu. Now, when you close the menu again, Spiritomb is at once behind you! Next, you make yourselves at the sun grotto (Route 120) to catch Heatran. Once you have entered the sun cave, you'll find after a while Flavia, which tells you something of a legendary Pokémon. Do you go deeper into the cave and find a way to the northern wall. Run best left along, because there you will find also the Glurak Y. In the next room you will find again a mysterious ring where you can trigger a fight with Heatran, if you examine the ring. There are 40 wondrous places in Pokémon ORAS. There are normal and those where their legendary Pokemon you can catch. These places can be found only on high-flyer Latios / as (Eon Flute play). Of the normal wondrous places you can visit one every day. As you hover over a luminous circle, they are easy to spot. 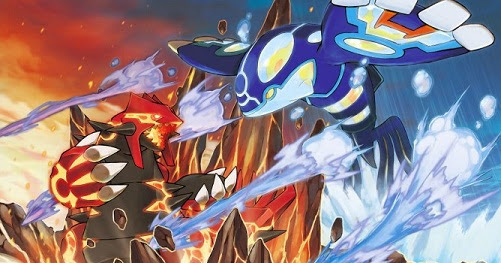 For the Wondrous Places with legendary Pokemon need to fulfill their particular conditions to which kindly of our users is discussed in the next post already. In addition to new Pokémon you can in the normal wondrous places will also find lots of fossils that you can do to Pokémon. These are cracked rocks. In Ruby and Sapphire there is to find four different fossils. Have written here something that must be met in order to find the following Legendary Pokemon. I need all Pokemon except for Heatran use the Eon-Flute and find the island with the Red "crystals". Note: You should always save the fighting. If you have defeated some legendary Pokémon games, you can try to catch it again, if you've defeated the Top4 and be drawn back into the Hall of Fame. Prerequisite: 3 Pokemon in a team with maximum happiness. Visit the cave at different times of the day to catch the three: Mesprit (4 to 20 clock), Azelf (21-4 clock), Elf (20 till 21 clock). Prerequisite: Mesprit, Azelf, Uxie in the team have. Prerequisite: Dialga Palkia & have a team. Prerequisite: Having a Pokémon with maximum EV values in the team. Visit the plane several times a week. Cobalion (Wednesday, Friday, Sunday), Terrakion (Monday, Thursday), Virizion (Tuesday and Saturday). Prerequisite: Having a Pokemon to level 100 in the team. Prerequisite: Reshiram & Zekrom have on the team. Prerequisite: scanners available in the basement of See Mauville and captain Brigg bring in graphite Port City. Prerequisite: Lugia and Ho-Oh have in the team. Visit the forest at different times: Entei (first 19 minutes of every hour), Raikou (between 20 and 39 minutes of each hour), Suicune way (between 40 and 59 minutes of each hour). Prerequisite: have Castform the team. Prerequisite: Tornadus and Thundurus in the team. Requirements: No special factors, the island occurred by chance (every day the world map with flyer scan).